I have been sharing handmade gift ideas all week and thought I would do a round up for y’all today. If you love to give handmade during the holiday season, this is the post for you. 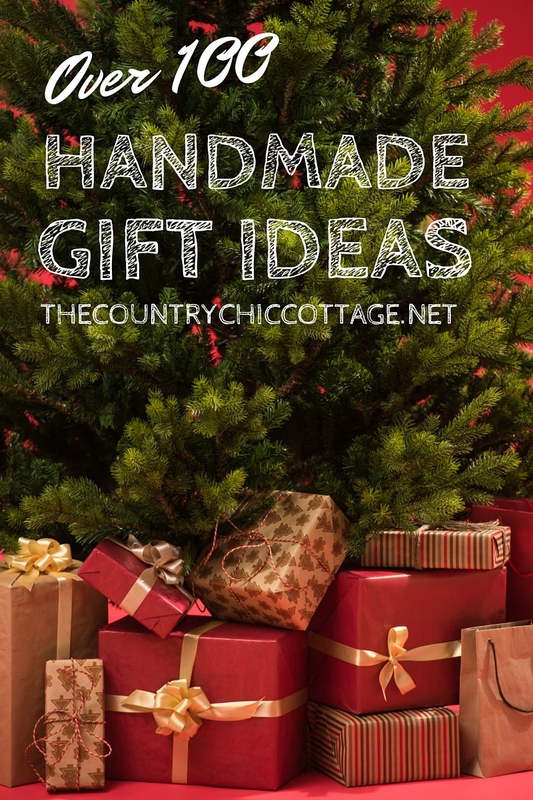 You will find something for everyone on this list of over 100 handmade gift ideas. Have trouble shopping for Uncle Mark? We have something for him! Your neighbor Susan has everything? Yep we have something for her as well. Browse our list and bookmark or pin these great handmade gift ideas. I have put all of the handmade gift ideas into the linky below so you can just click the pictures for the ideas you love. Click the picture and it will take you to the instructions on how to make each gift idea. Most of these ideas are super simple and you can make them in just minutes. Giving handmade is great during Christmas! Handmade gifts are from the heart plus is usually super budget friendly. If you want to give from your heart or are on a budget during the holidays, try some of the ideas below! Y’all enjoy!